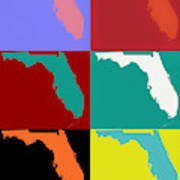 There are no comments for Florida Pop Art Map. Click here to post the first comment. 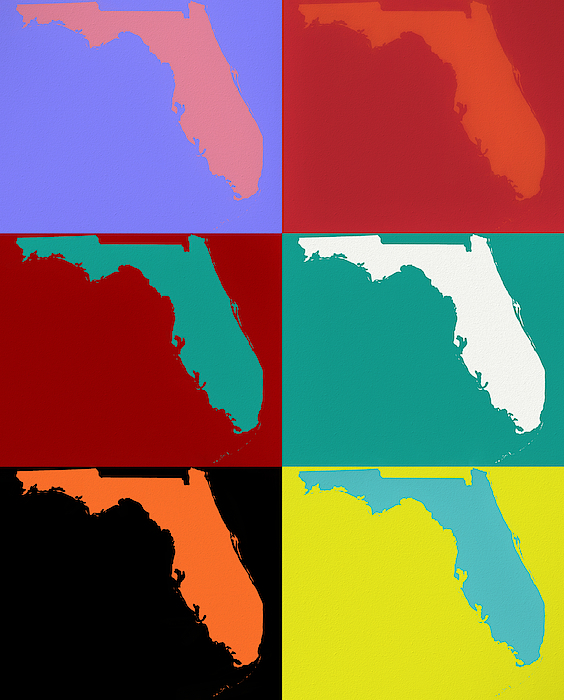 Florida is the southernmost contiguous state in the United States. 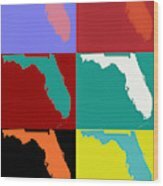 The state is bordered to the west by the Gulf of Mexico, to the northwest by Alabama, to the north by Georgia, to the east by the Atlantic Ocean, and to the south by the Straits of Florida. 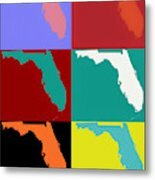 Florida is the 22nd-most extensive (65,755 sq mi—170,304 km2), the 3rd-most populous (20,984,400 inhabitants), and the 8th-most densely populated (384.3/sq mi—121.0/km2) of the U.S. states. Jacksonville is the most populous municipality in the state and the largest city by area in the contiguous United States. The Miami metropolitan area is Florida's most populous urban area. Tallahassee is the state's capital.